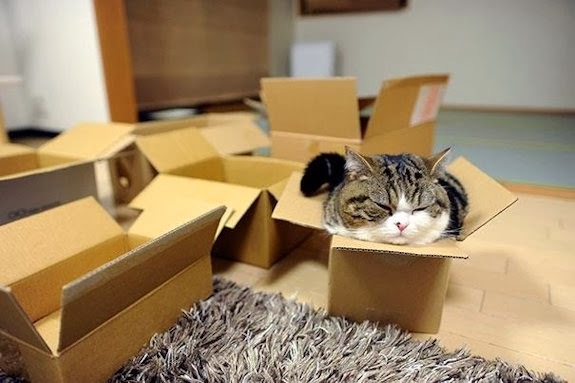 It’s amusing to watch cats try to cram themselves into tight spaces. Why do they do it? Because they can. And because they feel snug and protected. But not my cats. They never do this. 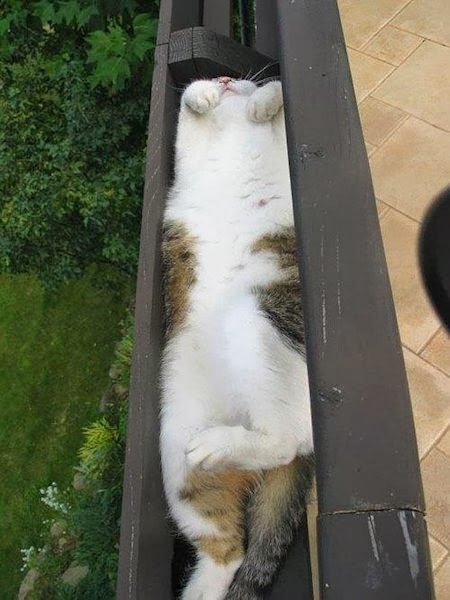 They never do most of the silly things cats are supposed to do. Boring. That’s what my cats are. Boring. 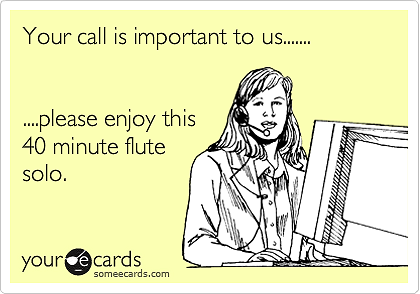 Below are some funny images to end the week (and the month) with. 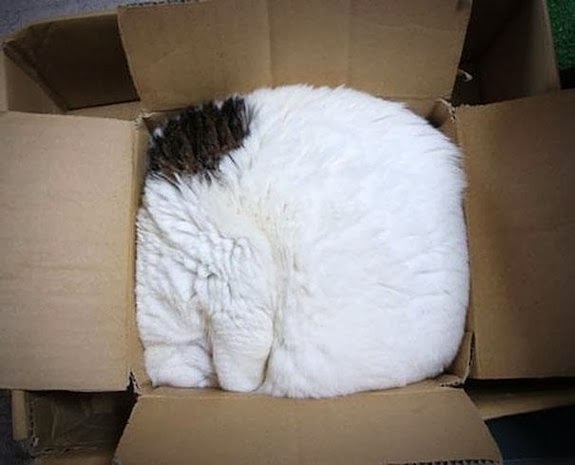 Of other cats. 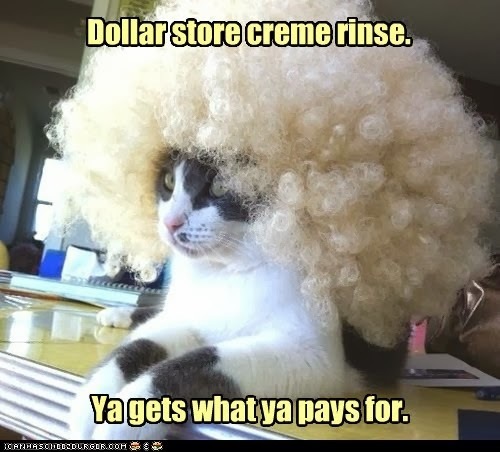 Entertaining cats. 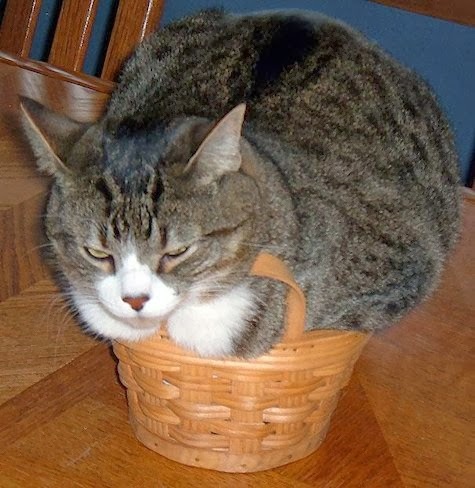 And here’s a funny video of cats and dogs (seems they want in on the action) trying to fit into small spaces. This reminds me of when I buy jeans. 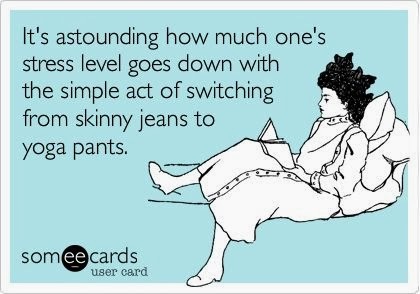 As my body ages and changes, finding a pair of jeans has become very difficult. 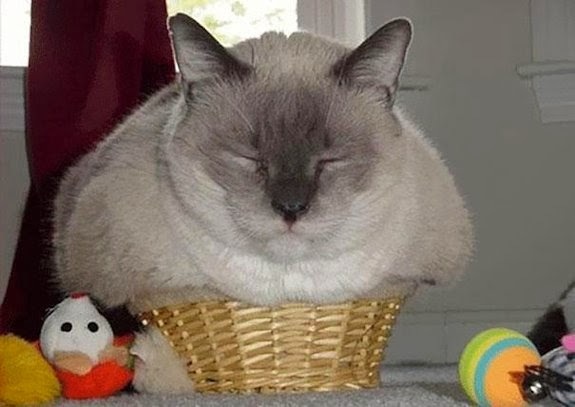 Nothing fits right. 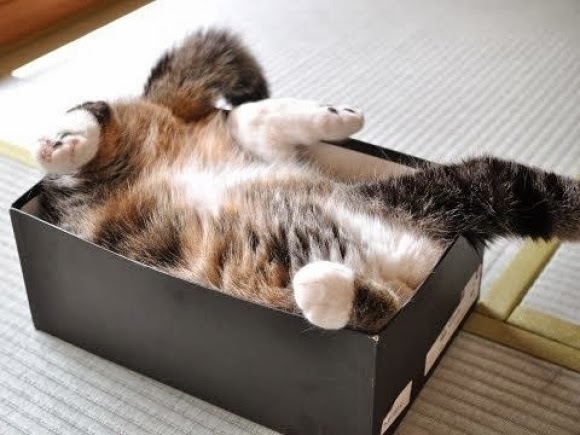 So when I do run across a pair that fits properly, I think to myself “If I fits, I gits”. Starting in fifth or sixth grade, my friends and I, and probably the majority of young girls, started reading Tiger Beat magazine. Are you familiar with it? Did you ever read it? Founded in September 1965, it was published monthly, and was primarily marketed to adolescent girls. A very young John Travolta in 1976. 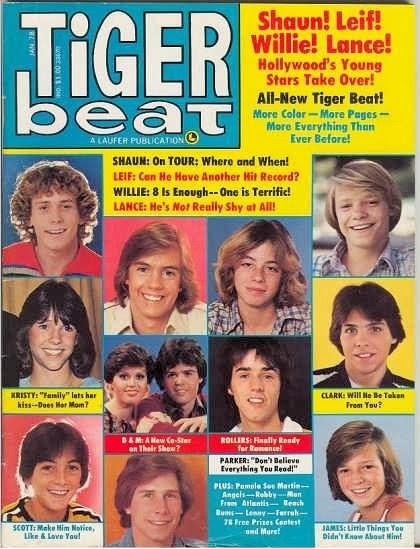 Tiger Beat was known for its covers with 'cut and paste' collaged photos of teen idols, and for its glossy pinup posters that made for great wallpaper that I plastered all over my room’s walls. Back in my day it was all about guys like Leif Garrett, Shaun Cassidy, Donny Osmond, Robby Benson, John Travolta, Andy Gibb, (bestillmybeatingheart) Matt Dillon, and a whole bunch of others. I would have bought any magazine with Matt Dillon in it. And the Bay City Rollers. Do you remember them? OHMYGOD, they were so popular back then. The members of this Scottish pop band were worldwide teen idols for a brief but fervent period (nicknamed “Rollermania”). 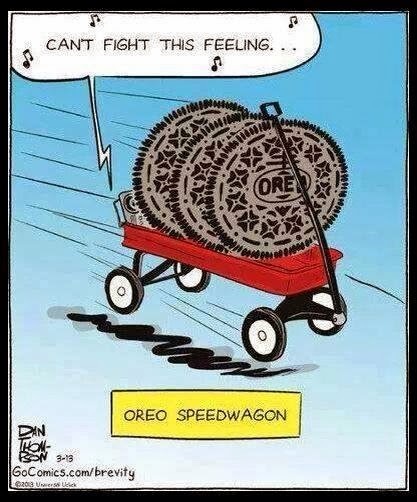 I was a huge fan of their hit song ‘Saturday Night'. 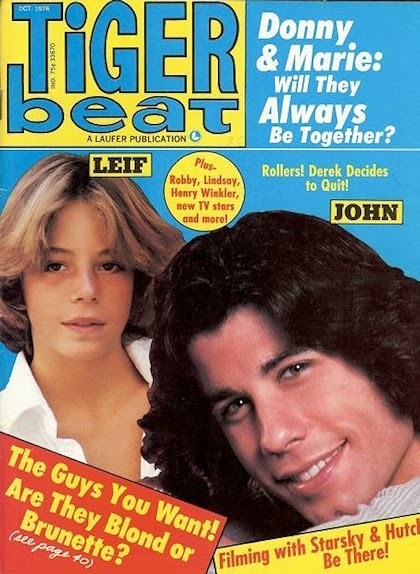 Anyway, we saved our allowance to buy this publication, and each month we handed the money to a girl in our school who was the designated magazine buyer and distributor. 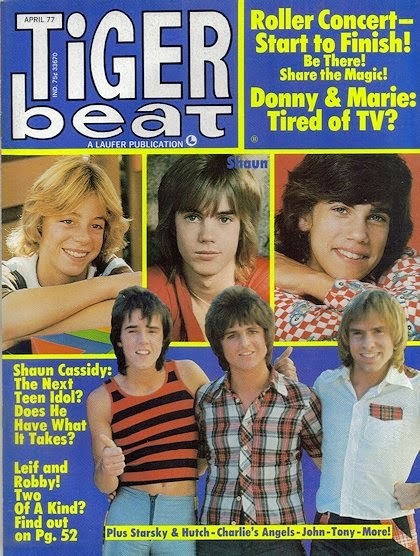 The reason for this was that she passed by a store on her way to and from school each day that sold Tiger Beat. So when the latest publication arrived, she’d stop in, pick up a whole bunch of magazines, bring them to school, and pass them out to whoever had placed an order. 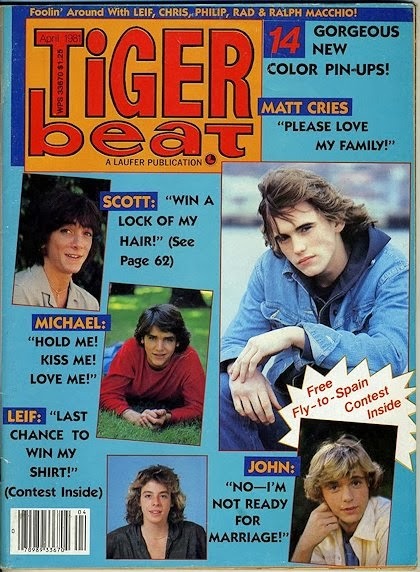 and the Tiger Beat buyer/distributor position was terminated. Next time I’m in Montreal, I’ll have to take photos of the store front. The memory of this magazine didn’t come back to me until after I’d returned to Kingston. It seems the store is still in operation, although I’m sure it’s changed owners by now. February is quickly coming to an end, and despite how harsh the weather has been, it’s been a wonderful month. And I have a lot to be thankful for. This month I entered the last year of my 40s. I am grateful for all the years that I have been gifted so far. And humbly welcome any more that life may grant me. It was also the month where I had to go for my physical. My doctor’s office called in January and said I was due for a complete checkup. So we scheduled an appointment for early February. From a physical examination to a blood test to a mammogram to a few other tests in between, I had a few days worth of medical appointments in different locations around town. Then I waited for the results; one of the worst feelings on earth. You hope for the best, but your mind starts to conjure up all kinds of terrible scenarios. Ah, the rampant imagination of the mere mortal being. 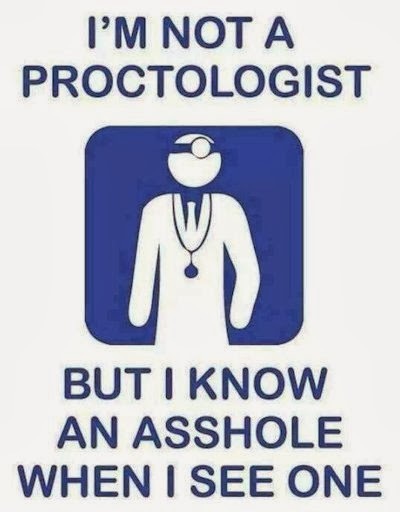 Last week my doctor called to give me the results of all but one of the tests, and Monday she phoned in the final one. “Everything is fine”, she said. And with those three simple words, I was given the greatest gift of all: a clean bill of health. Something that no one should ever take for granted, and the only thing we should wish for. I am extremely grateful for this blessed good news. It has indeed been a wonderful month. 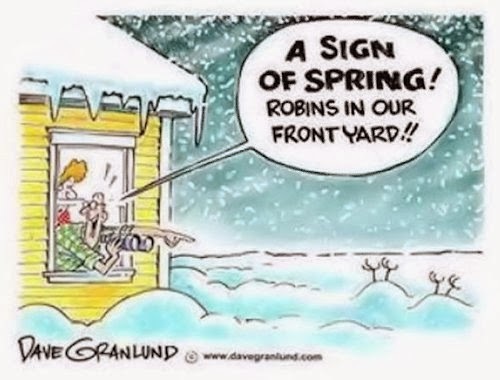 I'm so looking forward to my garden waking up this spring! Nothing makes me happier than being outdoors, going from place to place, exploring the world, and capturing it in photos. And although I don’t have the resources to travel very far, there are more than enough interesting things to discover close to home to keep me busy, and satisfied. "Make sure you get my good side...gobble...gobble." Along a country road in October. An old building in the downtown area. Two quacks are better than one. My cat, Mocha, posing for the camera. All the bodies of water are frozen in our area. A friend I made this weekend in the country. Isn't he/she beautiful? "Oh me...oh my... I am trapped in the snow. Whatever shall I do?" "Don't you worry little lady. I'm on my way." A happy Tuesday to all! Welcome back from the weekend, folks, Was it good to you? I certainly hope so. It was a really nice one for us. Saturday was sunny but very windy. High winds are not a photographer’s friend, so we decided to stay close to home and run errands. Yesterday, on the other hand, was simply glorious; we spent it out on country roads taking photos and enjoying the great outdoors. 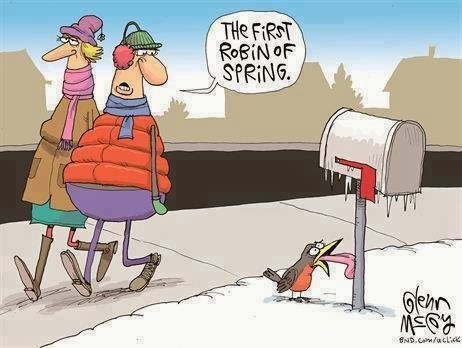 Poor little critters. What are they thinking coming back so early? In any case, they are without a doubt the most beautiful sign that spring is on its way. It is! It is! WOOT! WOOT! I’m so excited, I feel like I'm going to blow up into a gazillion pieces. I went to pick up my daughter from work yesterday evening, and because I arrived early and had some time to kill, I popped into the dollar store nearby. It’s amazing how much stuff you can pick up at these places within a short period of time. And how much money you can spend. So while I was there, I noticed a young woman pushing a baby carriage right smack in the middle of the aisle. And every time she stopped to look at an item, she also parked that baby carriage right smack in the middle of the aisle. Do you see where this is going? Anyhow, lucky me, I crossed paths with her a few times, and because she made no attempt to keep to one side to allow anyone enough room to pass, I had to make myself as small as possible to get through. I even apologized as I squeezed by because...well...because I’m Canadian. And every single time, it was the same thing. 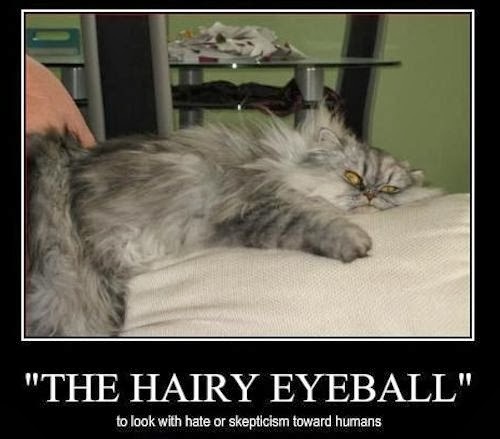 She would give me the hairy eyeball and sigh in exasperation. Because somehow she was being inconvenienced. I’m always sympathetic with moms with young children because I've been there, done that, and I know how hard it can be to get around in public with little ones and bags and carriages and so on. But this wasn’t a mom trying to get around. 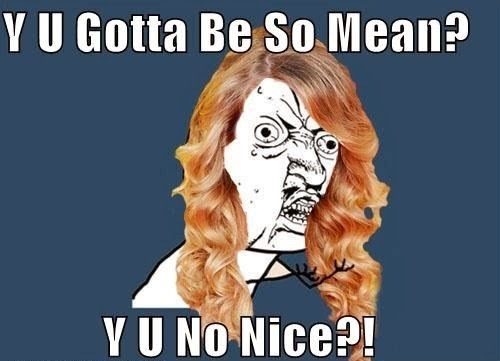 This was an obnoxious, rude and miserable young woman. I walked ran down this street many Saturday mornings when I was a kid. The building did not look like this when I was young; it was in much better shape. This was once the Empire Theatre. It was built around 1937; the year that Walt Disney released Snow White and the Seven Dwarfs. It was a period when smaller theatres began being located beyond the downtown area, and in neighbourhoods like the one I grew up in. The opposite view of Ogilvy Avenue. Many decades ago, the Empire offered three short movies for 50 cents on Saturday mornings, and many moms and dads would drop off their kids there at 10 AM, and come back to get them at noon. And although we didn’t enjoy this every week, my brothers and I had our fair share of Saturday mornings at the Empire. It was a hugely anticipated and beloved treat! 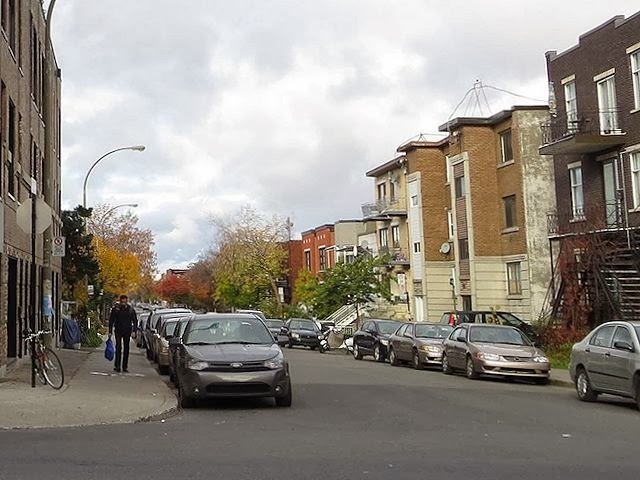 The theatre was at the corner of Ogilvy Ave., and this street: Durocher. 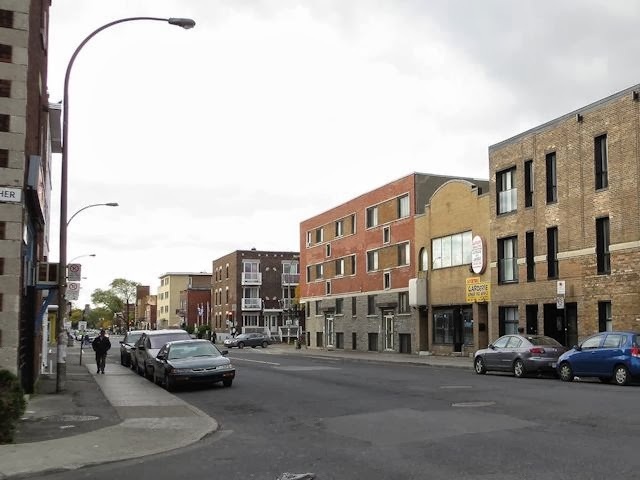 The building ceased operations as a cinema in 1978, and became the property of The Hellenic Community of Greater Montreal. Over time, the Greeks in the neighbourhood left the area, the building was abandoned, and it inevitably fell into disrepair. In 2011 (or thereabouts), the building was purchased by a developer and was converted into a 21-unit residential condominium building. Condominiums are popping up all over the city. Things sure have changed since I was a child, and I will admit that this is a very attractive building. 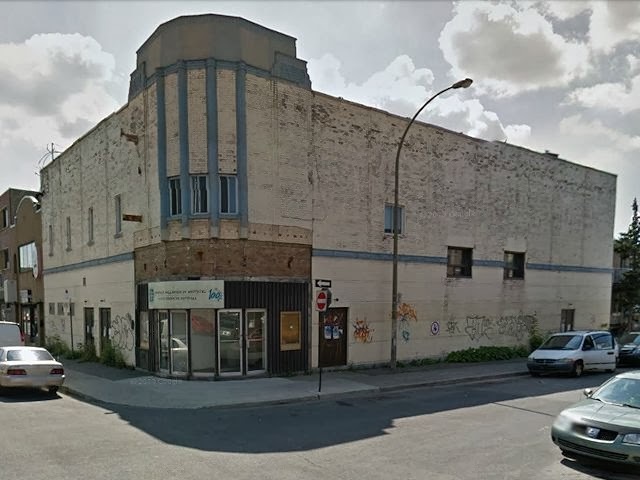 But no matter what it looks like today, or what purpose it serves, this corner will always be the location of the Empire Theatre where my brothers and I spent many fun-filled Saturday mornings. Saturday we spent the day outdoors taking photos and getting some much needed air. Below are some of the images I snapped as we braved the cold. This is the Gananoque River where I photograph the swans. It is completely frozen. Between me and that house is a body of water that is frozen and covered in snow. This is the time of year that I'm happy I'm a cat person. Beneath all this snow is water. There’s only so much time you can spend outdoors in the winter before the cold catches up with you. 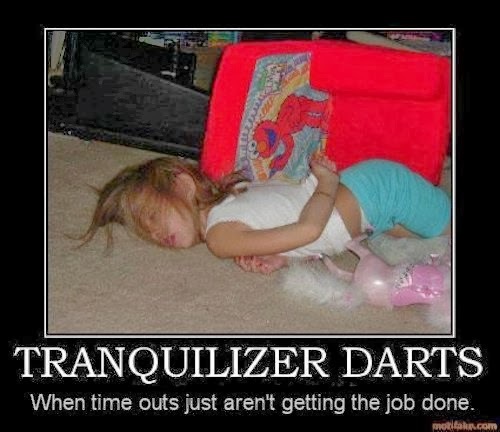 A lot of time is inevitably spent indoors, which can be quite frustrating. One of my favourite abandoned areas in Gananoque, Ontario. The snow looks much prettier in the country. Lake Ontario is frozen and covered with snow. Another view of Lake Ontario frozen. With its abundance of snowy and cold days, winter has been particularly harsh this year. 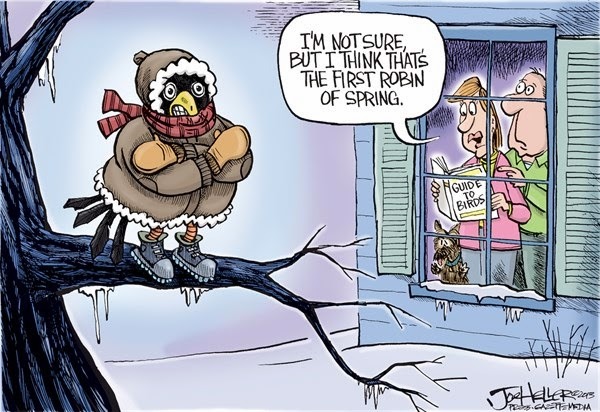 Spring will not come too soon for me. Bring it on! People are walking their dog on frozen Lake Ontario. The lake looks like a snow desert. The bridge we cross often in Lake Ontario park. Sunset in Lake Ontario Park. Have a nice Wednesday, everyone!